FUNDRAISING IS EASY WITH THE OSHAWA GENERALS! Looking for a fundraising program that is entertaining, exciting and profitable? The Oshawa Generals Hockey Club would like to help. Participate in our special program and you could earn THOUSANDS OF DOLLARS for your organization. 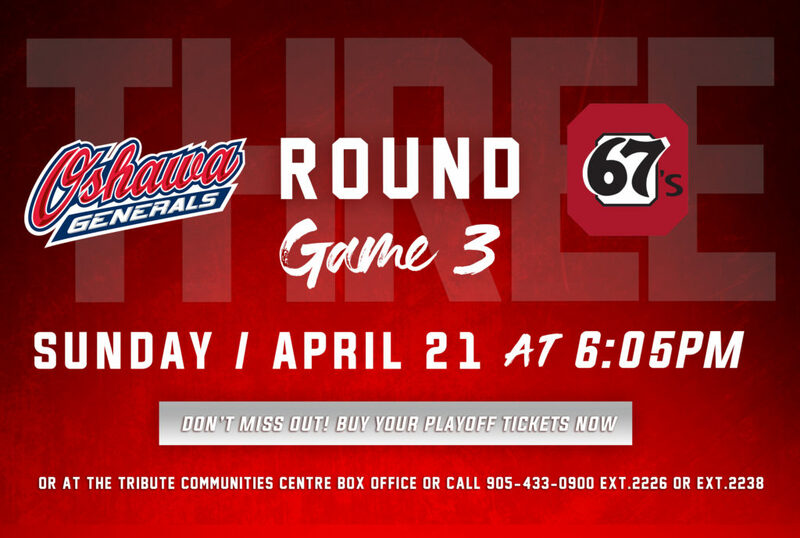 STEP 1 – Select an Oshawa Generals home game to attend. STEP 2 – Contact our Group Sales Department at 905-433-0900 ext 2226 to tickets. STEP 3 – Resell your tickets for up to $21 and keep the profit above the initial $15 you pay. STEP 4 – Attend and enjoy the Oshawa Generals game as a group! Receive a FREE Oshawa Generals autographed stick with every 100 tickets sold and receive a FREE Oshawa Generals autographed jersey with every 200 tickets sold. These make great raffle gifts and auction prizes that can generate additional revenue for your fundraiser.